Tormek's new T7 pairs an already widely acclaimed sharpening system with two new innovations for enhanced accuracy, convenience and versatility. With the new Square Edge Jig, your blades will be automatically squared to the grinding wheel without the need for picky adjustments. Since chisels and plane blades are mounted with their flat backs against a large, flat reference surface, there is no risk of rocking or tipping once the jig is tightened down. The T7 also includes the new Truing and Dressing Tool, which uses a diamond cutter to return worn, out-of-round wheels to like-new condition. Precision screw feed allows you to grade the wheel for a fine or coarse grade by simply varying the rate of feed. Plus, the standard system now includes the SP-650 Stone Grader. Here is an interesting short video showing Antóni Ross converting a cherry log in to a chair. The Log is from a recently felled tree, the video covers various aspects of green woodworking and chair making. Antóni aims through his work to keep the old woodworking skills alive. He currently demonstrates at country shows, wood fairs, and I has a small workshop for teaching these bygone country skills. Master wood carver and ornamentalist Patrick Damiaens currently works in Flanders, Belgium. He mainly carves in the Liege and Aachen styles: furniture, wood panels and architectural details. Here is a short Clip of Patrick: The Stages of Heraldic Wood Carving. Enjoy. "One person's woodworking journey, with a focus on hand tools"
One of my favorite woodworking blogs. following the personal woodworking journey of Kari Hultman (a.k.a. The Village Carpenter.) The blog reflects Karis passion for woodworking with hand tools as she makes excellent reproductions of wooden tools and furniture from times past. 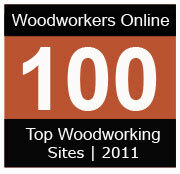 With this blog/directory I want to provide the best hand edited guide to woodworking online. 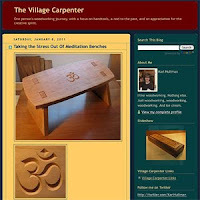 The web is full of great woodworking gems: blogs, magazines, video and techniques. These gems are lost in the vast sea content! 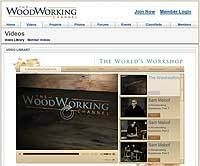 Search engines and directories help a little but the budding woodworker will need to look hard to find the best. 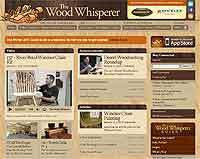 This list in this blog will reflects my opinion as to what are the best collection of woodworking resources on the internet. I am trying to present quality, not quantity, here are websites that are among the best. 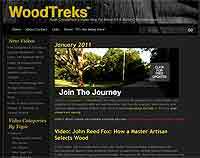 The initial lists will cover the big name woodworkers and popular woodworking web sites, however soon I will bring you best resources for the myriad of woodworking niches and specialties. You may look through the lists and think: “Why didn’t you include X site ” – I realize I may well have missed a great site so apologies, please email me suggestions or leave a comment for future lists. I want this site to be interactive and would really value your input.